Online magazine published by The American Horticultural Society. Beauty in your own back yard. Hands on magazine for avid gardeners. Magazine for the “Earth Smart” gardener. The magazine for water gardeners of all ages and experience. America’s leading gardening magazine for passionate gardeners. The definitive source for down-to-earth luxury and style. The illustrated guide to home gardening and design. Educational site sponsored by the American Horticultural Society. The Garden Club of America seeks to stimulate knowledge and love of gardening. Dedicated to encouraging the science and practice of horticulture. 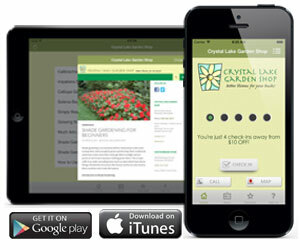 Online resource sponsored by the National Gardening Association. Member site of the National Home Gardening Club. Better blooms for your bucks!